Most aquarists have some familiarity with nitrite. It is part of the "nitrogen cycle" that takes place in most aquariums, and so is one of the first encounters that many aquarists have with their aquariums' chemistry. The marine aquarium hobby is replete with commentary about nitrite, some of which is, unfortunately, incorrect or misleading. Its toxicity in marine systems is far lower than in freshwater systems. Nevertheless, many aquarists incorrectly extrapolate this toxicity to reef aquariums and suggest that any measurable amount of nitrite is a concern. In reality, nitrite probably is not toxic enough to warrant measuring in most marine systems. This article serves to provide a backdrop for that opinion by addressing what nitrite is, where it comes from, where it goes, the mechanisms by which it can be toxic and the evidence for its toxicity (or lack thereof) in typical reef aquariums. Where Does Nitrite Come From? How Toxic is Nitrite to Invertebrates? Nitrite (NO2-) is a fairly small ion, consisting of a central nitrogen atom with two attached oxygen atoms in a bent configuration (Figure 1). One of the oxygen atoms carries a negative charge. More correctly, the nitrite ion has two oxygen atoms that are capable of carrying the negative charge, and in reality, the solvated ion in solution probably has two identical oxygen atoms, each with a partial negative charge. Nitrite is a fairly strong acid, and becomes protonated to nitrous acid (HNO2) only as the pH drops below 4 (pKa = 3.35). Figure 1. A nitrite ion (left) comprised of a central nitrogen atom (blue) and two oxygen atoms (red), one of which carries a negative charge. 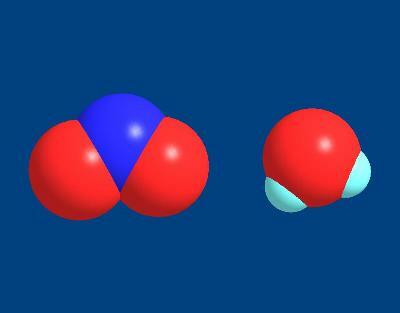 A water molecule (H2O) is shown on the right for comparison. Most aquarists associate nitrite with the traditional "nitrogen cycle." In this process, bacteria convert ammonia into nitrite and then into nitrate by oxidizing it. The bacteria gain chemical energy in this fashion, just as other organisms (from bacteria to people) gain energy by oxidizing carbon compounds (such as ethanol, CH3CH2OH) into more oxidized versions, such as carbon dioxide (CO2). During an aquarium's initial setup, few of these ammonia- and nitrite-oxidizing bacteria are present. As the ammonia accumulates, bacteria that utilize it increase in population. As that occurs, they consume the initial ammonia spike, and a nitrite spike results. Then, the nitrite-oxidizers take advantage of the nitrite spike, increase in population, and consume the nitrite, thereby producing nitrate. After some period of time (often a few weeks), the bacterial action begins to equilibrate, and neither ammonia nor nitrite is present in high concentrations. This doesn't mean that a lot of each is no longer being produced, only that they are consumed as fast as they are produced, leaving a low steady-state concentration. In most reef aquaria, the steady-state concentrations of both ammonia and nitrite are quite low (less than 0.1 ppm), and often are below the detection limits of many test kits. What happens when an aquarium is initially set up, however, is not necessarily what happens later. 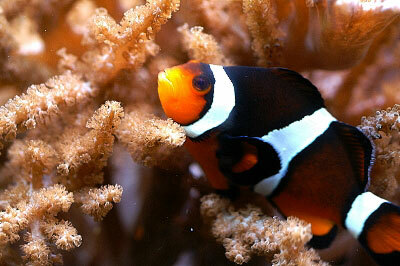 Many organisms in reef aquaria consume ammonia and nitrite directly, and metabolize it into organic matter. Macroalgae, for example, can take up ammonia directly, and many species actually take up ammonia preferentially to nitrate. Consequently, in a reef aquarium such as mine where most of the nitrogen export is via macroalgae, little nitrite may be produced in the first place. I have no way of knowing how much of the nitrogen added to my aquarium from foods enters the macroalgae as ammonia, and how much in other forms (such as nitrite or nitrate), but it is very likely that not all of the nitrogen added passes through a nitrite stage before becoming part of the macroalgae. In a laboratory situation with nitrate-free seawater with no organisms present, ambient sunlight can reduce the nitrite concentration by 2-15% per day.12,13 The primary products of this reaction are nitric oxide (NO) and hydroxyl radical (OH). Both of these compounds are chemically and biologically active, so this reaction may be important to a number of biochemical pathways in the ocean and in various organisms. The effect of nitric oxide is discussed in more detail later in this article. The importance of this process in marine sediments has long been unknown. In recent studies, however, it has been shown to be important in some circumstances.14-17 In two continental shelf sites, the conversion of ammonia to N2 by this pathway produced 24% and 67% of the total N2 produced. In a eutrophic bay, however, this process was negligible compared to ordinary denitrification (the conversion of nitrate into N2 when the nitrate is used as an electron acceptor for degradation of organic material in low oxygen situations). A different study showed that this process accounted for between 4% and 79% of the N2 produced in coastal sediments. Nitric oxide also may play a role in the symbiosis of certain cnidarians with dinoflagellates. An enzyme that produces nitric oxide has been found in the cnidarian Aiptasia pallida. This enzyme is apparently downregulated when the organism goes into acute heat shock, and inhibitors of the enzyme cause retraction of the tentacles, as is observed under heat shock conditions.20 Further, addition of nitric oxide donors to the system prevents this retraction of tentacles. Whether this process has anything to do with nitrite or nitric oxide in the water column is not clear. The effects, if any, that nitric oxide and this reaction from nitrite in particular might have on reef aquaria is unclear. Nitric oxide effects on marine organisms is an active area of research, and a greater understanding of it is expected in the future. Whatever the effects are, however, any effect attributable to NO produced from nitrite may be most pronounced in a newly cycling reef aquarium (where nitrite is elevated) and when a UV system is in use. Table 3 brings out the distinction between freshwater and seawater organisms most clearly. In these tests, two fish and one shrimp species that are able to live in both freshwater (or brackish water) and seawater were tested for toxicity at different salinities. At least for these three species, it is clearly shown that nitrite is much more toxic in freshwater (or at lower salinity) than in seawater, even to the same species. In the only published article26 that I could find showing toxicity tests to typical reef aquarium fish, Tom Frakes and Bob Studt exposed tank-raised clownfish (Amphiprion ocellaris; Figure 2) to nitrite concentrations ranging from 0 to 330 ppm in artificial seawater. Two of five fish died after a few days at 330 ppm, giving an LC50 not appreciably different from the other species listed in Table 1. At 33 ppm (the next dose down from 330 ppm), the fish were lethargic and breathing with difficulty, but otherwise experienced no lasting problems. At 3.3 ppm nitrite no effects were observed. Figure 2. This female clownfish (Amphiprion ocellaris) in my aquarium would likely experience lethal effects of nitrite toxicity at levels above 300 ppm nitrite. One of the difficulties with interpreting toxicity issues, as related by hobbyists who claim to have seen nitrite toxicity in marine fish, is the possible presence of ammonia. In any aquarium with elevated nitrite, the ammonia level also may be elevated. Since ammonia is known to be very toxic to marine fish (LC50 value below 1 ppm), on the aquarist must ensure that the observations are not flawed by such contaminants. In all of the toxicity tests described above, nitrite is added directly to the seawater, and ammonia would not be expected to be present at significant concentrations, whereas in aquariums the levels of the two materials are not independent of one another. Table 1. Toxicity of Nitrite to FRESHWATER Fish. Table 2. Toxicity of Nitrite to MARINE Fish. Table 3. Toxicity of Nitrite to Marine Organisms as a Function of Salinity. Reef aquaria, obviously, contain far more organisms than just fish. Unfortunately, however, the number of organisms that have been examined for nitrite toxicity is fairly low. Those selected for study are most often those for which there is a significant aquaculture industry, such as prawns. It turns out that most invertebrates studied are fairly insensitive to nitrite (Tables 4-6). Because of the nature of these studies, many endpoints besides death were examined. These other endpoints include growth rates, "intoxication" and feeding. Like fish, the invertebrates showed a wide range of susceptibility to nitrite toxicity. Some showed little effect at hundreds of ppm nitrite. The lowest noted effect was a slowing of gonadal development in a sea urchin at 1.6 ppm, although it was feeding normally and surviving at 33 ppm nitrite. Table 4. Toxicity of Nitrite to Crustaceans. Table 5. Toxicity of Nitrite to Marine Mollusks. Table 6. Toxicity of Nitrite to Other Marine Organisms. As far as has been studied, nitrite is not as toxic to marine fish as it is to freshwater fish. This difference is striking, with some of the most sensitive freshwater species being more than a thousand times more sensitive than typical marine species. Does this apply to all fish that might be kept in reef aquaria? I have no way of knowing. I have seen nitrite toxicity test results on only one marine species that we normally maintain in reef aquaria (Figure 3). Nevertheless, there is no reason to think them more or less susceptible. Figure 3. 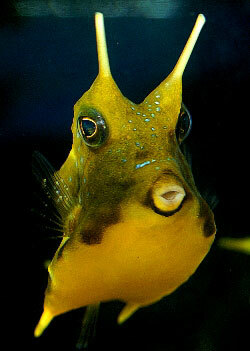 Like most reef aquarium fish, the susceptibility to nitrite toxicity of this longhorn cowfish (Lactoria cornuta) from my aquarium has not been established. The same can be said of nitrite toxicity to marine invertebrates; few studies have been done. Those that have been tested suggest that lethal doses of nitrite are fairly high (i.e., tens to thousands of ppm nitrite). Biochemical and developmental effects have been observed at lower doses, however, and there is no reason to suspect that the most sensitive invertebrates have actually been tested. Aquarists obviously can decide for themselves, based on the data provided above, what level of nitrite to allow in a reef aquarium, or alternatively, at what level to take some action to reduce it (e.g., a water change). Fortunately, nitrite levels in reef aquaria are almost always far lower than would cause concern from a toxicity perspective. While a new aquarium's nitrite levels might reach up toward 10 ppm or more, such an aquarium should not yet contain sensitive organisms. Once the nitrite is below 1 ppm, there is little reason to be concerned. From my perspective, nitrite and the nitrogen cycle may be interesting phenomena to monitor during a reef aquarium's initial set up, but nitrite does not warrant routine testing. I haven't tested any aquaria for nitrite in years, despite setting up several reef aquaria in that time. I simply do not think that nitrite is worth the time and expense of testing, unlike ammonia, phosphate, alkalinity, pH, calcium, etc. 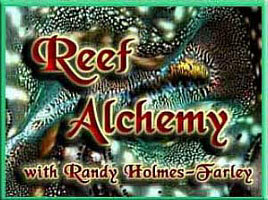 It is my opinion that many things other than nitrite concentration are more worthy of reef aquarists' attention. 2. Zonal continuity and meridian circulation of the nitrite maximum in the southwest equatorial Pacific. I. Description of the spatial evolution of the nitrite maximum in the hydrological context. Oudot, Claude. ORSTOM, Abidjan, Cote d'Ivoire. Cahiers ORSTOM, Serie Oceanographie (1978), 16(3-4), 349-61. 3. Trace nitrite in oxic waters. Zafiriou, O. C.; Ball, L. A.; Hanley, Q. Dep. Chem., Woods Hole Oceanogr. Inst., Woods Hole, MA, USA. Deep-Sea Research, Part A: Oceanographic Research Papers(1992), 39(2), 1329-47. 4. Nitrite and nitrate distribution in the surface water of oligotrophic areas of the East China Sea and Philippine Sea off Taiwan. Wada, Eitaro. Ocean Res. Inst., Univ. Tokyo, Tokyo, Japan. Marine Science Communications (1977), 3(3), 279-86. 5. Inorganic nitrogen in coral reef sediments. Corredor, Jorge E.; Morell, Julio. Dep. Mar. Sci., Univ. Puerto Rico, Mayaguez, P. R. Marine Chemistry (1985),16(4), 379-84. 6. Quantum yields for nitrite formation and decay in seawater. Davis, Andrew J.; Kieber, David J.; Katz, David R.; Mopper, Kenneth. Department of Chemistry, College of Environmental Science and Forestry, State University of New York, Syracuse, NY, USA. Preprints of Extended Abstracts presented at the ACS National Meeting, American Chemical Society, Division of Environmental Chemistry (2003), 43(1), 371-374. 7. Quantum yields for nitrite formation and decay in seawater. Davis, Andrew J.; Kieber, David J.; Katz, David R.; Mopper, Kenneth. Department of Chemistry, State University of New York, College of Environmental Science and Forestry, Syracuse, NY, USA. Abstracts of Papers, 225th ACS National Meeting, New Orleans, LA, United States, March 23-27, 2003 (2003), ENVR-077. Publisher: American Chemical Society, Washington, D.C.
8. Uptake and accumulation of nitrate and nitrite by reef corals. Franzisket, L. Hawaii Inst. Marine Biol., Univ. Hawaii, Coconut Island, HI, USA. Naturwissenschaften (1973), 60(12), 552. 9. Nutrient availability for zooxanthellae derived from physiological activities of Condylactis species. Cates, Norman; McLaughlin, John J. A. Mercy Coll. Detroit, Detroit, MI, USA. Journal of Experimental Marine Biology and Ecology (1979), 37(1), 31-41. 10. Effects of nitrogen, phosphorus and silicon on the growth of the diatom Eucampia zodiacus caused bleaching of seaweed Porphyra isolated from Harima-Nada, Seto Inland Sea, Japan. Nishikawa, Tetsuya; Hori, Yutaka. Fisheries Technology Institute, Hyogo Prefectural Technology Center for Agriculture, Forestry and Fisheries, Akashi, Hyogo, Japan. Nippon Suisan Gakkaishi (2004), 70(1), 31-38. 11. Nutrient uptake kinetics of freshly isolated zooxanthellae. D'Elia, C. F.; Domotor, S. L.; Webb, K. L. Cent. Environ. Estuarine Stud., Univ. Maryland, Solomons, MD, USA. Marine Biology (Berlin, Germany) (1983), 75(2-3), 157-67. 12. Nitric oxide in seawater. Zafiriou, O. C.; McFarland, M.; Bromund, R. H. Woods Hole Oceanogr. Inst., Woods Hole, MA, USA. Science (Washington, DC, United States) (1980), 207(4431), 637-9. 13. Nitrite photolysis in seawater by sunlight. Zafiriou, Oliver C.; True, Mary B. Dep. Chem., Woods Hole Oceanogr. Inst., Woods Hole, MA, USA. Marine Chemistry (1979), 8(1), 9-32. 14. Production of N2 through anaerobic ammonium oxidation coupled to nitrate reduction in marine sediments. Thamdrup, Bo; Dalsgaard, Tage. Danish Center for Earth System Science, Institute of Biology, University of Southern Denmark, Odense M, Den. Applied and Environmental Microbiology (2002), 68(3), 1312-1318. 15. Anaerobic ammonium oxidation by nitrite (anammox): implications for N2 production in coastal marine sediments. Engstroem, Pia; Dalsgaard, Tage; Hulth, Stefan; Aller, Robert C. Department of Chemistry, Goeteborg University, Goeteborg, Swed. Geochimica et Cosmochimica Acta (2005), 69(8), 2057-2065. 16. Nitrogen removal in marine environments: recent findings and future research challenges. Hulth, Stefan; Aller, Robert C.; Canfield, Donald E.; Dalsgaard, Tage; Engstroem, Pia; Gilbert, Franck; Sundbaeck, Kristina; Thamdrup, Bo. Department of Chemistry, Goeteborg University, Goeteborg, Swed. Marine Chemistry (2005), 94(1-4), 125-145. 17. Factors controlling anaerobic ammonium oxidation with nitrite in marine sediments. Dalsgaard, Tage; Thamdrup, Bo. Department of Marine Ecology, National Environmental Research Institute, Silkeborg, Den. Applied and Environmental Microbiology (2002), 68(8), 3802-3808. 18. Ammonia and nitrite removal from sea water by ozonation. Lin, S. H.; Yen, Y. L. Dep. Chem. Eng., Yuan Ze Inst. Technol. Neili, Taoyuan, Taiwan. Environmental Technology (1997), 18(1), 65-73. 19. The effect of nitric oxide on the growth of marine phytoplankton. Zhang, Zhengbin; Lin, Cai; Liu, Chunying; Sun, Mingyi; Ding, Haibing. The Institute of Marine Chemistry, Ocean University of China, Qingdao, Peop. Rep. China. Journal of Ocean University of Qingdao (English Edition) (2003), 2(2), 185-188. 20. Nitric oxide and cnidarian-dinoflagellate symbioses: Pieces of a puzzle. Trapido-Rosenthal, Henry G.; Sharp, Katherine H.; Galloway, Tamara S.; Morrall, Clare E. Bermuda Biological Station for Research, Inc., St. George's, Bermuda. American Zoologist (2001), 41(2), 247-257. 21. Toxicity of nitrite to fish: a review. Lewis, William M., Jr.; Morris, Donald P. Dep. Environ., Popul. Org. Biol., Univ. Colorado, Boulder, CO, USA. Transactions of the American Fisheries Society (1986), 115(2), 183-95. 22. Physiological Basis for Large Differences in Resistance to Nitrite Among Freshwater and Freshwater-Acclimated Euryhaline Fishes. Tomasso, Joseph R., Jr.; Grosell, Martin. Department of Biological Sciences, Clemson University, Clemson, SC, USA. Environmental Science and Technology (2005), 39(1), 98-102. 23. Nitrite disrupts multiple physiological functions in aquatic animals. Jensen, Frank B. Institute of Biology, University of Southern Denmark, Campusvej 55, DK-5230 M Odense, Denmark. mailto:fbj@biology.sdu.uk Comparative biochemistry and physiology. Part A, Molecular & integrative physiology (2003 May), 135(1), 9-24. 24. Uptake and effects of nitrite in the marine teleost fish Platichthys flesus. Grosell, M.; Jensen, F. B. Institute of Biology, Centre for Respiratory Adaptation, Odense University, Odense, Den. Aquatic Toxicology (2000), 50(1-2), 97-107. 25. Water quality requirements for first-feeding in marine fish larvae. I. Ammonia, nitrite, and nitrate. Brownell, Charles L. Dep. Zool., Univ. Cape Town, Rondebosch, S.Afr. Journal of Experimental Marine Biology and Ecology (1980),44(2-3), 269-83. 26. Nitrite Toxicity in Marine Aquariums. Frakes, T.; Studt, B. Seascope Volume 16, Fall 1999. 28. Acute toxicity of nitrite to sea bass (Dicentrarchus labrax) and European eel (Anguilla anguilla). Saroglia, M. G.; Scarano, G.; Tibaldi, E. CRTN, ENEL, Milan, Italy. Journal of the World Mariculture Society (1981), 12(2), 121-6. 29. Toxicities of ammonia and nitrite to Penaeus monodon adolescents. Chen, Jian Chu; Liu, Ping Chung; Lei, Shun Chiang. Dep. Aquac., Natl. Taiwan Ocean Univ., Keelung, Taiwan. Aquaculture (1990), 89(2), 127-37. 30. Acute toxicity of nitrite on Litopenaeus vannamei (Boone) juveniles at different salinity levels. Lin, Yong-Chin; Chen, Jiann-Chu. Department of Aquaculture, National Taiwan Ocean University, Keelung, Taichung, Taiwan. Aquaculture (2003), 224(1-4), 193-201. 31. Effect of salinity on acute toxicity of ammonia and nitrite to juvenile Mugil platanus. Sampaio, L. A.; Wasielesky, W.; Miranda-Filho, K. Campos. Department of Oceanography, Laboratory of Mariculture, University of Rio Grande, Rio Grande, RS, Brazil. Bulletin of Environmental Contamination and Toxicology (2002), 68(5), 668-674. 32. Seawater inhibition of nitrite toxicity to chinook salmon. Crawford, Richard E.; Allen, George H. Sch. Nat. Resour., Humboldt State Univ., Arcata, CA, USA. Transactions of the American Fisheries Society (1977), 106(1), 105-9. 33. Effects of ammonia and nitrite on survival, growth and moulting in juvenile tiger crab, Orithyia sinica (Linnaeus). Koo, Ja-Geun; Kim, Seong-Gil; Jee, Jung-Hoon; Kim, Jong-Man; Bai, Sungchul C.; Kang, Ju-Chan. Incheon Fisheries Hatchery Research Institute, Incheon, S. Korea. Aquaculture Research (2005), 36(1), 79-85. 34. Lethal concentration of nitrite on Penaeus chinensis larvae. Cheng, Sha-Yen; Chen, Jiann-Chu. Department Aquaculture, National Taiwan Ocean University, Chi-lung, Taiwan. Zoological Studies (1994), 33(3), 228-31. 35. Lethal effects of ammonia and nitrite on Penaeus penicillatus juveniles at two salinity levels. Chen, Jiann Chu; Lin, Chi Yuan. Dep. Aquacult., Natl. Taiwan Ocean Univ., Keelung, Taiwan. Comparative Biochemistry and Physiology, Part C: Pharmacology, Toxicology & Endocrinology (1991), 100C(3), 477-82. 36. Toxicity of ammonia, nitrite ion, nitrate ion, and orthophosphate to Mercenaria mercenaria and Crassostrea virginica. Epifanio, C. E.; Srna, R. F. Coll. Mar. Stud., Univ. Delaware, Lewes, DE, USA. Marine Biology (Berlin, Germany) (1975), 33(3), 241-6. 37. Inorganic nitrogen and its effect on growth of the abalone Haliotis tuberculata (Linnaeus) and the sea urchin Paracentrotus lividus (Lamarck). Basuyaux, Olivier; Mathieu, Michel. Laboratoire de Biologie et Biotechnologies Marines, Universite de Caen, Caen, Fr. Aquaculture (1999), 174(1-2), 95-107. 38. Effects of chronic nitrite exposure on gonad growth in green sea urchin Strongylocentrotus droebachiensis. Siikavuopio, Sten I.; Dale, Trine; Christiansen, Jorgen S.; Nevermo, Ivar. Norwegian Institute of Fisheries and Aquaculture Research, Tromso, Norway. Aquaculture (2004), 242(1-4), 357-363. 39. Effects of nitrite on growth and molting of Penaeus monodon juveniles. Chen, Jiann Chu; Chen, Sheue Feng. Dep. Aquac., Natl. Taiwan Ocean Univ., Keelung, Taiwan. Comparative Biochemistry and Physiology, Part C: Pharmacology, Toxicology & Endocrinology (1992), 101c(3), 453-8.